Why Soldermask Opening or Tented was not the same like the Original Gerber file? Recently customer compliant that the soldermask for some holes, esp for PTH (plated through hole, sometimes people named Via) was wrong, because in his original Gerber file, it was opened, but on actual printed circuit board, it was tented (covered), and some cases, some was tented and some was opened at the same time. It made customer confused. In fact, there’s a default rule in PCB (printed circuit board) manufacturing: If the PTH (Via) was less than 0.60mm, then the soldermask will be made as per factory’s default rules: making them as tented (covered), regardless it was tented or opened in customers’ original Gerber file. Here you can see pictures showing a board with a 0.30mm PTH, soldermask was opened in original Gerber file, but in real board, it was tented. And in this board, for 0.508mm PTH (via), some soldermask was opened and some was opened. 1)	For PTH(via) less than 0.6mm, normally the function was only to electrically connected trace, not for electronic components assembled; so whatever PTH was opened or tented, it doesn’t matter. If diameter of hole was bigger than 0.60mm, then it’ll be easy to etch away and some of them will be used in assembly, so we will make according to Gerber file and you will see the board exactly like the drawing. See bellowing a picture showing a board with 0.889mm (0.035mil) PTH. Sometimes, people just use these hole as testing point, not for assembly, then we suggest to add another PAD connected to this hole so that you can test it easy. To tested on hole was not stable as tested on a PAD. In a conclusion, in future, if the hole was less than 0.60mm and you really want it to be opened, please add special notes when release order, and allow us to enlarge the opening diameter of soldermask (around 0.60mm) so that soldermask of these holes will be opened. 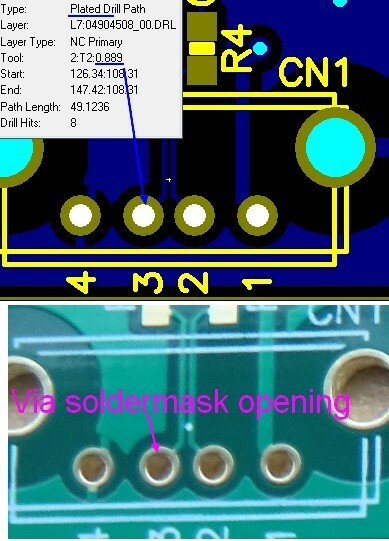 Please contact us if still any question about soldermask opening. Great news! We (Best Technology) had adopted a new Automatic Solder paste printer for SMT /PCBA since Aug 25th, 2016. We use “G5” which is No. 1 brand in domestic market, made by a Chinese company, the repeated position accuracy is +/-0.01mm, and printing accuracy is +/-0.025mm. 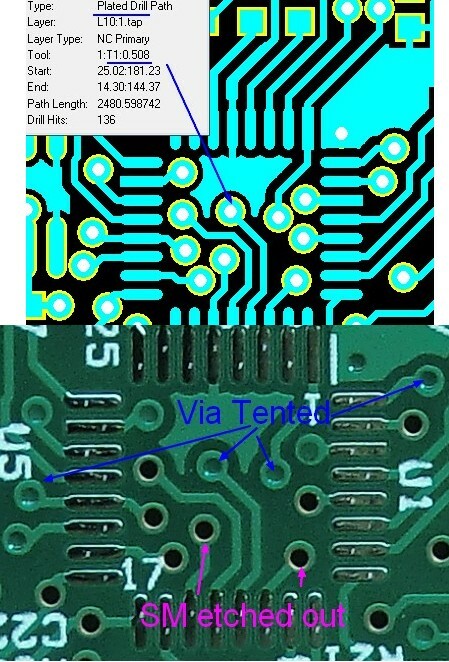 Everybody know the most important element which will affect the quality of SMT /PCBA is the solder past printing quality. Excellent solder paste printing is the base for excellent quality of final SMT /PCBA quality, esp. for the small components such as SMD Chips with small size as 0402, 0201, 01005; IC with small pitch package such QFN, LGA, BGA; Connector with 0.25mm, 0.3mm, 0.40mm pitch. 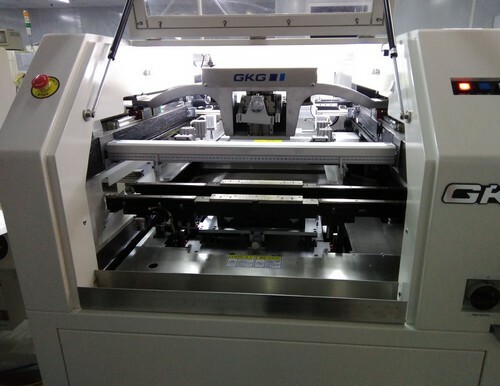 Here are some pictures of new Automatic Solder paste printer. Welcome customers release more SMT /PCBA orders to us. To learn more about Automatic Solder paste printer, or our SMT /PCBA service, please contact us right now! Which kinds outline process can make PCB less burr? Generally there are two methods to do PCB outline, routing and punching. So, If you need the outline more precision and nice, the best way is to custom a tool for punching, in such way, the outline shape is very exact and no so much burr on the edge. It is used for those boards in big panel with small boards, special outline as well as high precision boards. Punching also can speed up the production lead time. But for such way the cost is expensive than routing. What’s the difference for FR1, FR2, FR3 and FR4 materials? FR1 is basically the same as FR2. FR1 has a higher TG of 130oC instead of 105oC for FR2. Some laminate manufacturers who produce FR1 may not produce FR2 since the cost and usage are similar and it is not cost effective for having both. FR3 is also basically FR2. But instead of phenolic resin it uses an epoxy resin binder. FR4 (FR = Flame Retardent )is a glass fiber epoxy laminate. It is the most commonly used PCB material. 1.60 mm (0.062inch). FR4 uses 8 layers glass fiber material. The maximum ambient temperature is between 120o and 130oC, depending on thickness. In China FR4 is the most widely used PCB base material, next is FR1 then FR2. But FR1 and FR2 are usually used for 1-layer PCBs because they are not good for passing through holes. FR3 is not recommended to building multi-layer PCBs. FR4 is the best selection. FR4 is widely used because it is good to make from one- layer to multi-layer PCBs. With only FR4, PCB companies can make all kinds of PCBs, which leaves the management and quality control much easier, and eventually it can reduce the cost! Form the analysis above it is obvious that FR4 is the best selection to make PCBs in market. Some materials may be cheaper but it can only be used to make one-layer boards, and the reliability of the boards made by these materials is not good. So they are only used for one-layer and very simple boards. Can my PCB don’t make solder mask for both side? 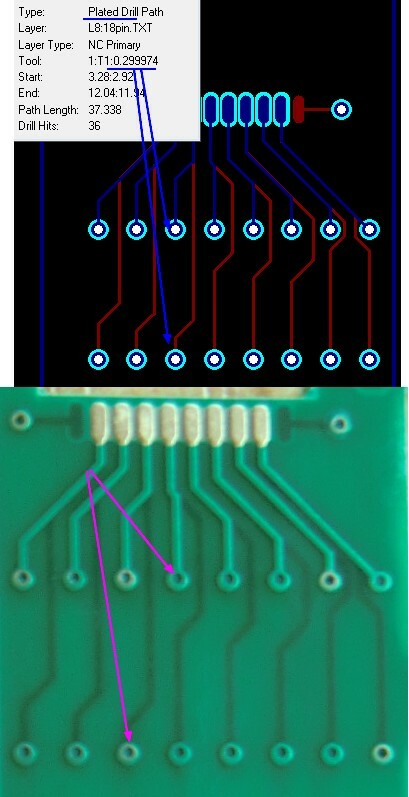 Of course PCB can make no solder mask on both side, just make sure the solder mask layer (GTS& GBS) on your Gerber file is empty, or let us know you don’t want to make solder mask while quoting or before production, then we won’t make solder mask on both side, just print the circuits as you want. Can make different solder mask thickness on top and bottom side? It’s okay to make different solder mask on top or bottom side only. Such as 50um on top side and 20um on bottom side. For 2 OZ board, the area without trace, solder mask thickness can be 40-50um, and after three or four times printing, developing, drying, the thickness of solder mask over copper trace can also reach up to 40-50um. What is PCB Gerber file? Notes: Gerber file must be RS-274X format. Drill file(pcbname.TXT) should be Excellon format. Gerber file is used for manufacturing process. Can we make groove on Ceramic PCB? Yes, we can make groove on Ceramic PCB. But the technology to make groove is different from FR4 PCB, MCPCB. 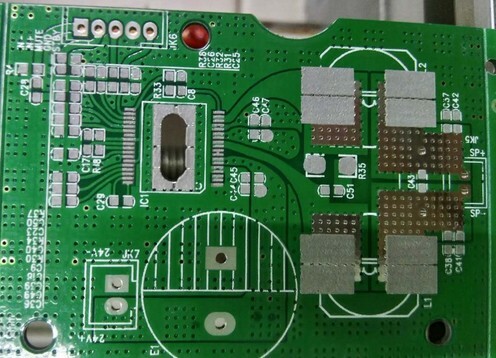 As you know, FR4 PCB, MCPCB, the substrate is rigid, so we can rout to get the groove, but ceramic PCB is fragile, so we can not use rout on the Ceramic substrate. 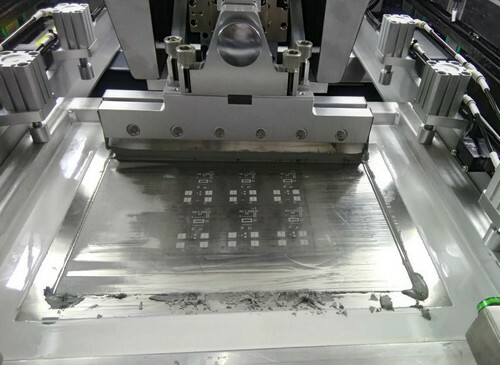 Normally, we use laser cutting to make the holes on Ceramic PCB, you may think we should use layer cutting, but it is not available, because if use laser, then it will be cutting through. So to make a tool is necessary, that’s correct, we make a tool to form the groove at the substrate stage. DCB is abbreviation of Direct Bonding Copper. It is an electrical composites with high thermal conductivity and high dielectric strength. Which formed by the copper foil and the ceramic substrate suffering high temperature melting and diffusion process in an inert gas. In power electronics industry, the DCB promoted module package chip interconnect technology development and stimulate power electronics products towards on high power density, multi-set, high-performance low-cost. the copper foil and ceramic can be bonded directly, which have good thermal conductivity, usually thermal conductivity of aluminum -DBC is 24 ~ 28 W / (m K), AlN-DBC is 170 ~ 220 W / (m · K). The stability of ceramic substrate makes DCB has a very excellent insulation properties under various conditions. Coefficient of thermal expansion close to the silicon enables semiconductor chip which soldered on board to avoid the stress caused by temperature changes, therefore can greatly extend the life of semiconductor products. Can process all types of graphics and lines like PCB, and strong current conducting capabilities make it easy to achieve board-on-chip interconnection function, the maximum carrying capacity will be up to 100 amps / millimeter. Energy-saving control of industrial electrical. The transportation of wind, solar and other new energy. X-out board means that the boards are not qualified. The trace may damage during the production. Normally we will do some obvious mark to distinguish the X-out board. When we make the boards in panel, it will be easy to have X-out board, and what’s more, when we panel several pieces board in a panel, there will be more pieces for X-out board. 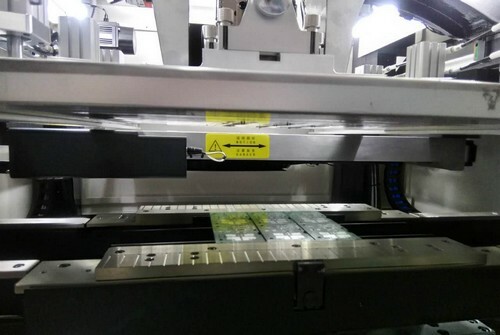 Some of the SMT manufacture didn’t accept the X-out board, since it will influence the production efficiency. But this kind of circuit board and can’t absolutely avoid in the process, so even the plate number, the more the number of circuit board factory scrap will be, the more relative costs will increase. So circuit board manufacturers hope that the less number of plate, the better, because it can avoid the loss of X – board, the sheep wool or out, of course, if the board factory has been unable to overcome the loss of X – board, the final price will respond to the customer. You are currently browsing the PCB & MCPCB - Best Technology blog archives for August, 2016.